Sacred Heart School was established on 20th April, 2001. The main motive of setting up this school was not only to impart excellent education but also to instill life skills in students which in today’s world is imperative. We firmly believe that education is not only about theoretical learning, it should also involve learning life skills, imbibing technological efficiency to adapt them to this ever-challenging world of artificial intelligence and become dexterous global citizens. The technological revolution that reflects in the climate of Sacred Heart School, Kalyan has been possible due to the efforts and foresight of our Principal Mrs. Vinita Raj. She has not only initiated, but accelerated the use of latest technology for students through immersive VR sessions, Planar Sculpting using ABB Grind Master, introduced 3D Printing for Digital Art. She has encouraged future Crafters to use Laser Engraving and Crafting. It is an area where our teaching staff made immense progress. 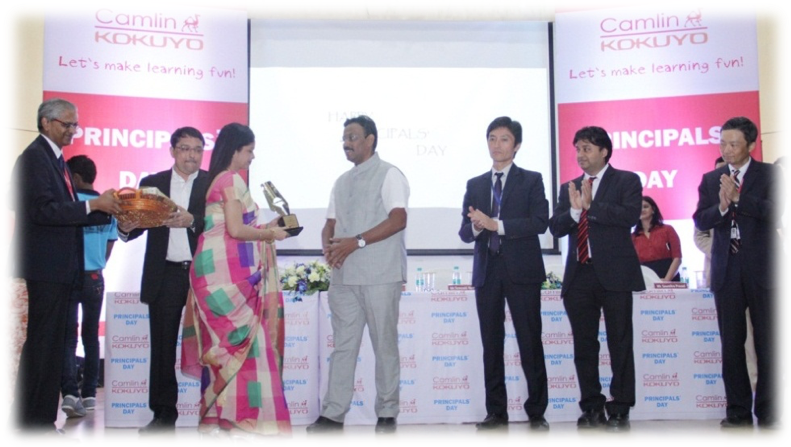 The efforts were two-fold – to make students adapt to latest technology in the class and also upgrading themselves. Various workshops were conducted for teachers based on the Techno Learning Curve which included training from Microsoft, Mobius, Trinity college of London, which are few amongst many others. 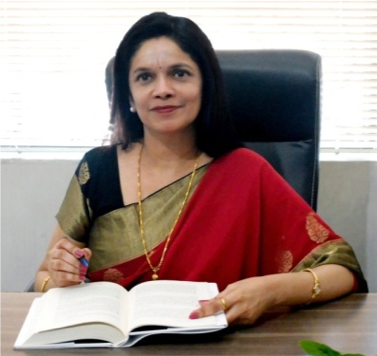 She has completed six years as a Principal in Sacred Heart School. Getting a firm grip on the climate and culture of school was one of her greatest accomplishment. She has gotten to know the staff, the parents and students by creating a bond were paramount for her. She looks forward to build it stronger in coming years. Sacred Heart School has made a history of commendable results for the last few years under Principal’s leadership. This year 207 students appeared in SSC Board examination out of which 141 Students are above distinction and 40 students above 90% marks in SSC Board examination. Our Principal believes that recognition is very important to boost staff morale and professional growth. She ensured that the true talent of teachers are appreciated and awarded appropriately. She has always remained in the forefront in ensuring that the workload remains reasonable as well as equitable for her staff. Develop, adopt and embed new age techniques, technologies, pedagogies and curriculum at all levels in our school. Where the world is increasingly driven by algorithms, Sacred Heart School strives to nurture the attributes like compassion, justice, ethics, discipline and humanity in our school, making it a role model for the world to follow. Completing the mission of a Carbon Neutral, Electric Grid Positive, Zero Garbage, Water Positive school and being a role model for future communities and societies. The School intends to be the beacon leading the fight in reversing the climatic change that effects the earth. 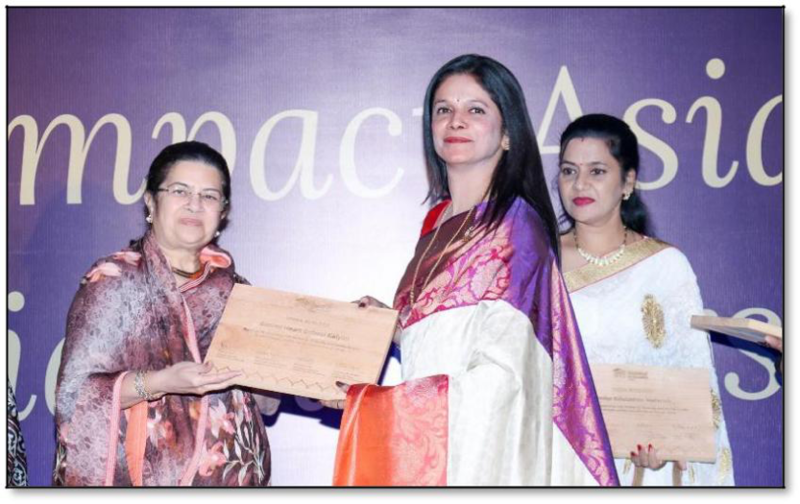 Being awarded by Mrs. Rajshree Birla and Rick Hathway, (Vice President- Asia Pacific Habitat For Humanity), for Sacred Heart School’s extensive work towards building homes for homeless.